Natural Gas is made up of hydrocarbon gases, primarily methane, naturally occurring in rock formations deep below the earth’s surface. The natural gas is withdrawn and transported to homes and businesses through an underground system of pipes. Residential users — use natural gas for furnaces, pool/spa heaters, vehicles, stoves, water heaters, clothes dryers, grills, standby generators, and space heaters. Commercial users — use natural gas in businesses such as restaurants, hotels, and hospitals. Industrial users — use natural gas for heating processes and as fuel for the generation of steam. Electric Utilities — use natural gas to generate electricity. 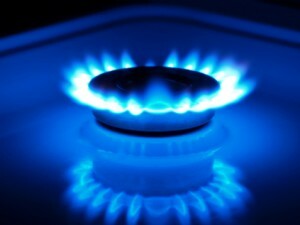 Natural Gas is colorless, odorless, lighter than air, and non-toxic. An odorant called mercaptan is added to the natural gas so that it can be detected. The odor is a warning that natural gas may be present and, if ignited, could result in personal injury or property damage.